Once we have our document set up properly, we need to create a bunch of layers (10 to be more precise) which will help us have a better overall control on our building process. 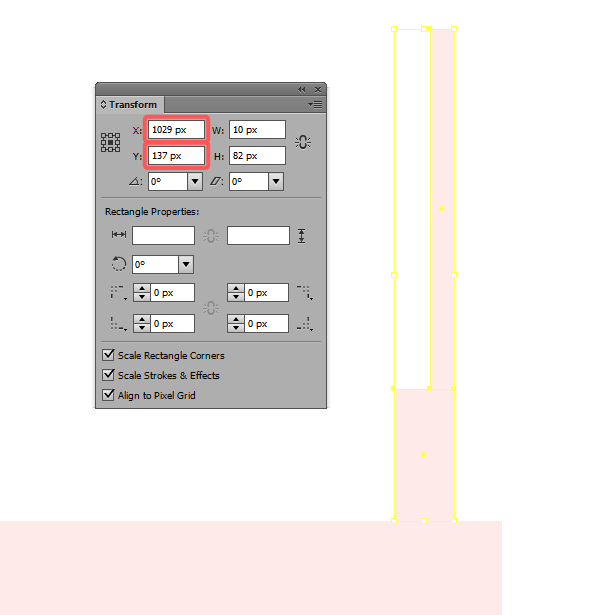 Quick tip: if you’re wondering why some of the positions of the layers are inversed from a logical numeric stand point, you shouldn’t worry, as we have some elements that go over some of the houses which force us to position those layers on top. Now that we have everything set, we will start building our way up through each layer, locking all the ones that are not used and focusing mainly on the one at hand. 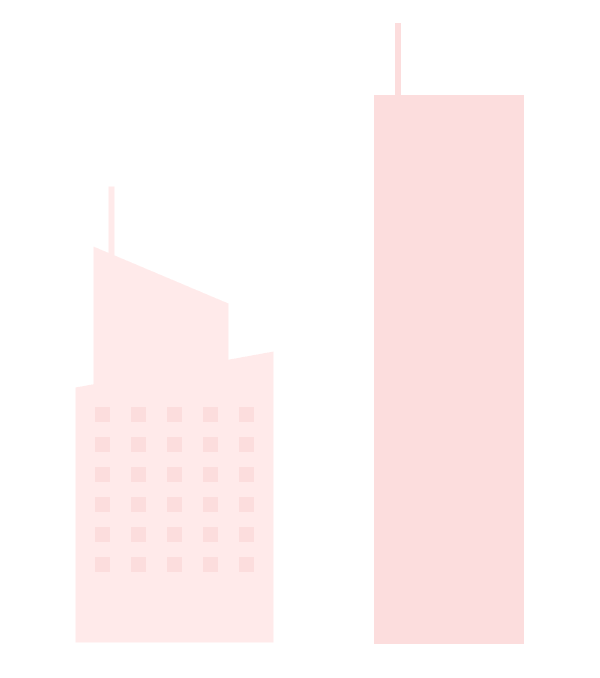 The first thing we will actually construct will be the background holding the sky scrapers. 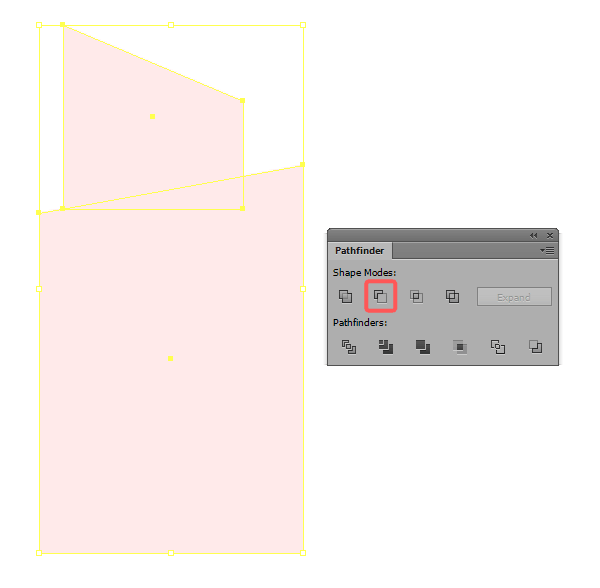 Once you have the shape positioned, we need to adjust its left top anchor point, by nudging it down a couple of pixels. 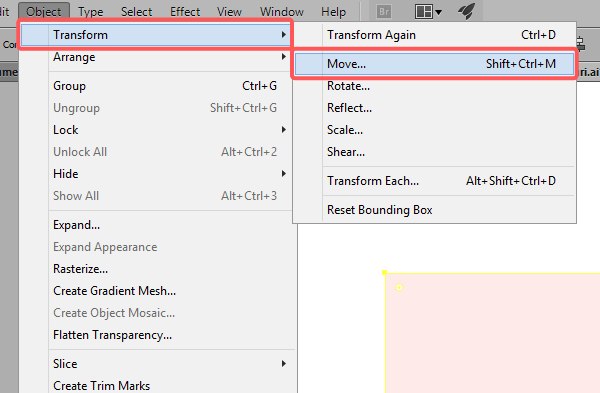 To do so, grab the Direct Selection Tool (A) select it, and then go to Object > Transform > Move.  A quick pop up box should appear asking you to input values for either the Horizontal or Vertical position. We will type in 0 in the first field and 24 in the Vertical one. As you can see our left corner is now positioned slightly lower, which is exactly where we want it. 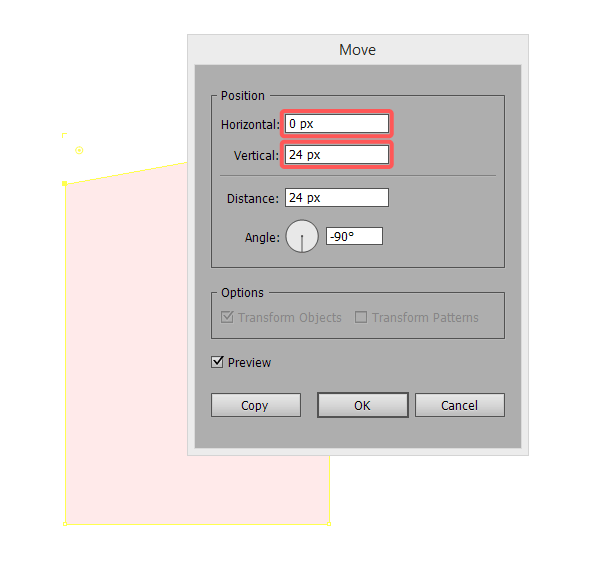 Create another 90 x 92px rectangle, position it (X: 147px, Y: 338px) and then using the same trick with the Move tool, lower its top right anchor point by about 38px. With both of the created objects selected, use Pathfinder’s Unite function to combine them into one shape. You can either group the antenna or unite it, depending on whether you want to leave it or not, so it’s all up to you. 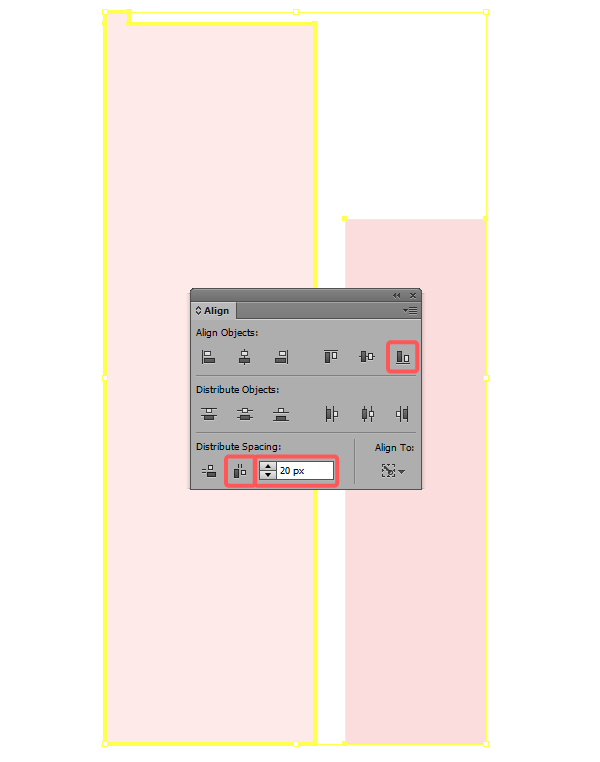 We now have our first window element, which we will duplicate four times so that we will end up with 5 objects which we will Vertically Align at about 14px from one another using the Align panel. 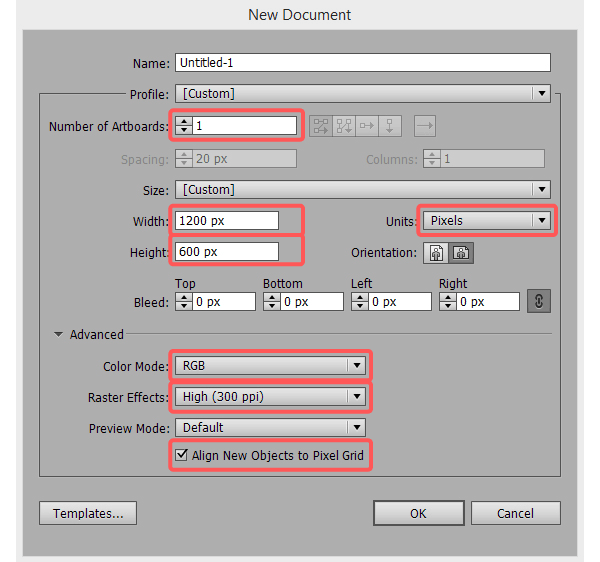 First create the duplicates by either selecting and then holding down Alt while dragging to the left (four times) or by using the copy (Ctrl + C) paste (Ctrl + F) method. With all of the windows selected, press Ctrl + G to group them, and then five copies which we will position towards the bottom at about 10px from one another. 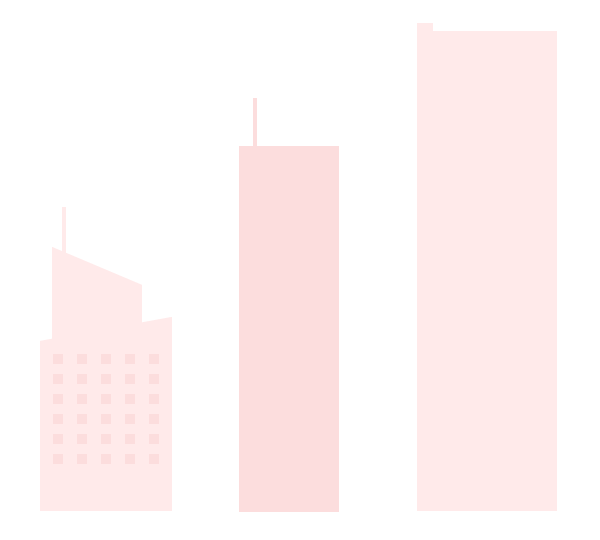 Once you have all your windows positioned as in the image above, select both them and the sky scraper and group them so that if you move it by accident its elements won’t get separated. 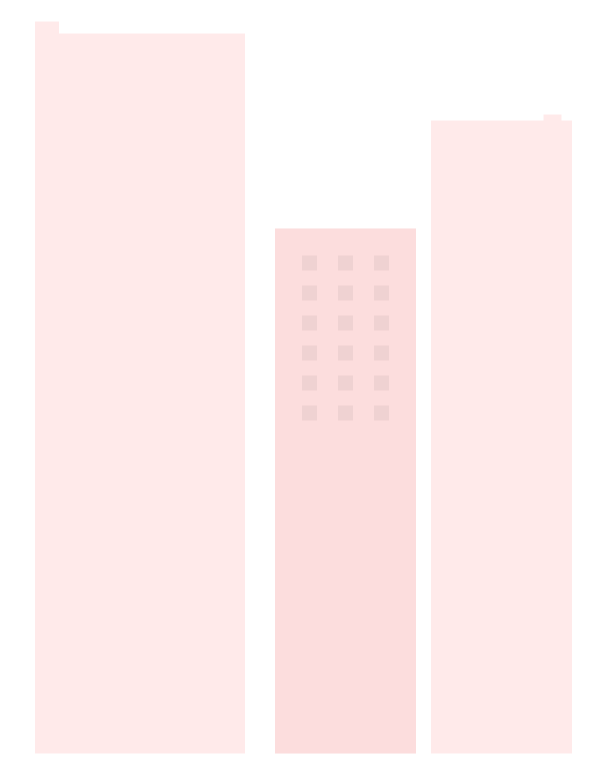 For the second sky scraper, we will create a darker (#FCDEDE) 100 x 366px rectangle, bottom align it at about 67px from the first building. 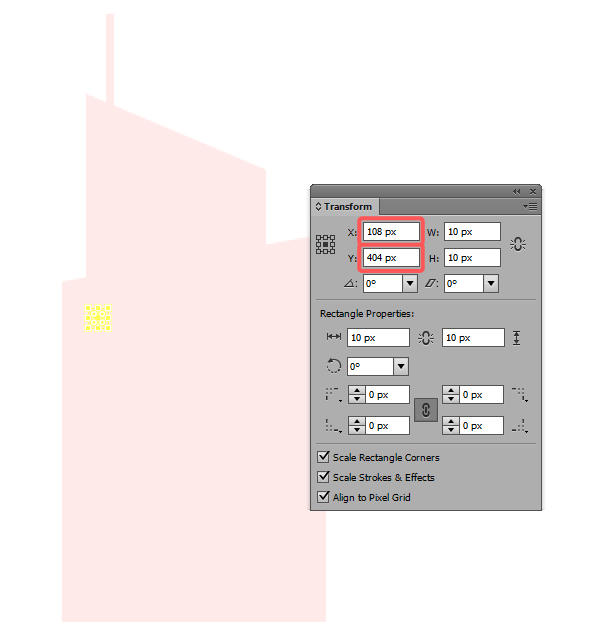 For the third building, create a taller 140 x 480px rectangle, and position it at about 78px from the second scraper. Change its color to # FFEBEB, and then to add a smaller 16 x 8px section at the top left side. 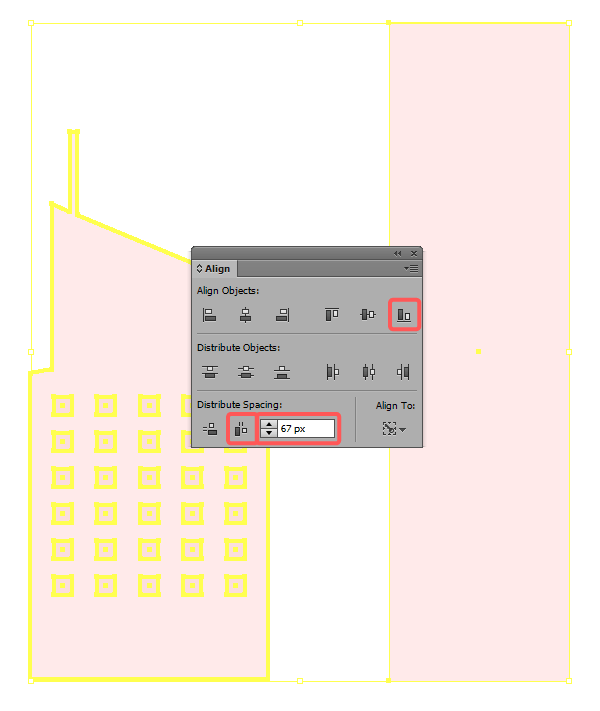 Again, with the use of the Rectangle Tool (M) draw a 94 x 350px shape, use the darker shade to color it (#FCDEDE) and then position it at 20px from the third building. 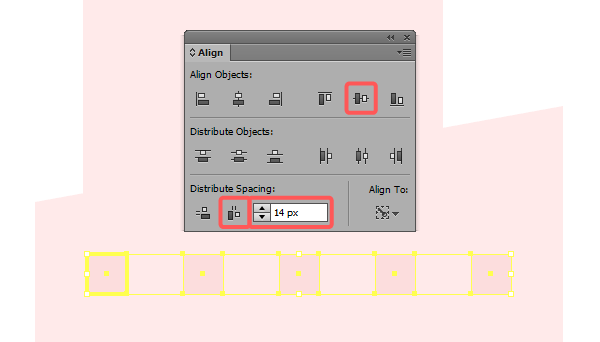 Then, duplicate it two times, and position the copies at 14px from the first one.  Group all three windows, and create five duplicate rows positioned at about 10px from the first row. Don’t forget to group all of the windows and the scraper using the Ctrl + G shortcut. 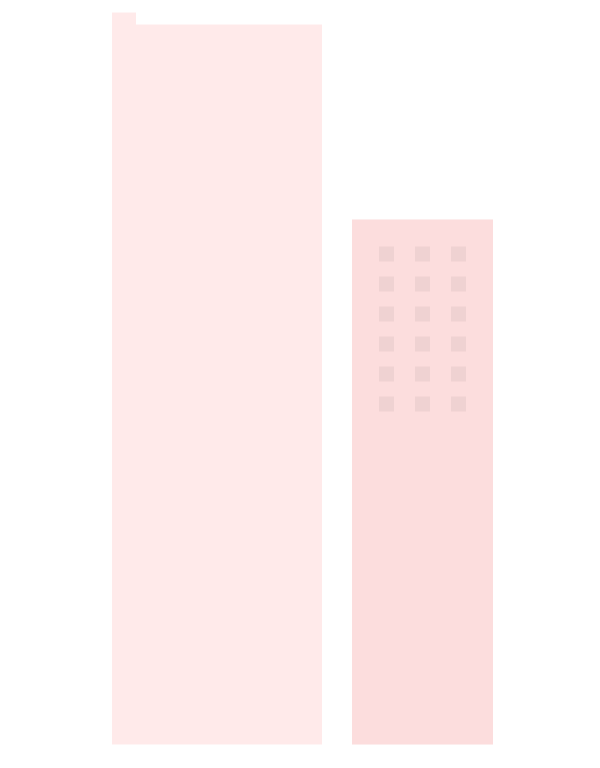 For the fifth building, create a 94 x 422px object, color it using the lighter shade of pink (#FFEBEB) and then position it at about 10px from the fourth scraper, making sure to bottom align them. At this point your illustration should look something like this. Once you have all the scrapers finished, it’s time to move on to the boardwalk layer. 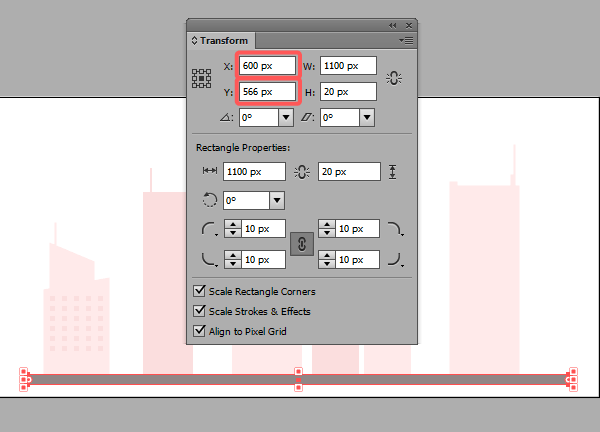 This is probably the easiest step of the entire illustration process. 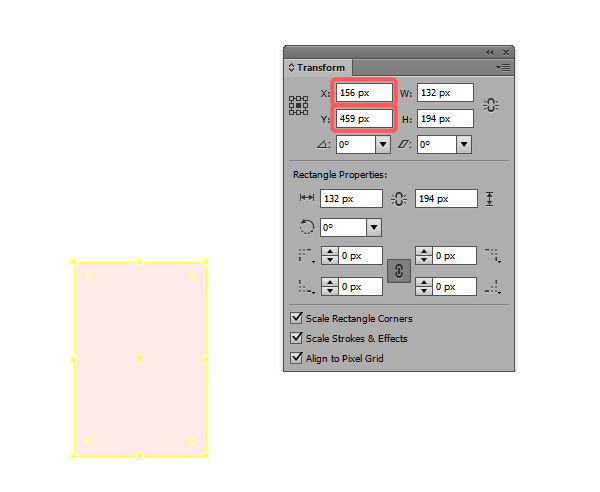 Using the Rounded Rectangle Tool create a 1100 x 20px shape with a corner radius of 10px. Next color it using # 918686 and position it at the bottom of the scrapers using the Transform panel. Thanks for taking the time to create this tutorial, Andrei! I’m a big fan of laying the proper foundation before you start, i.e. naming the layers prior to designing, etc… So, it was nice to see you doing that and incorporating best practices in your method! I love the amount of detail and simplicity of this tutorial. Still very nice looking final image. Thanks for taking the time to make this tutorial. What images did you use as a reference? 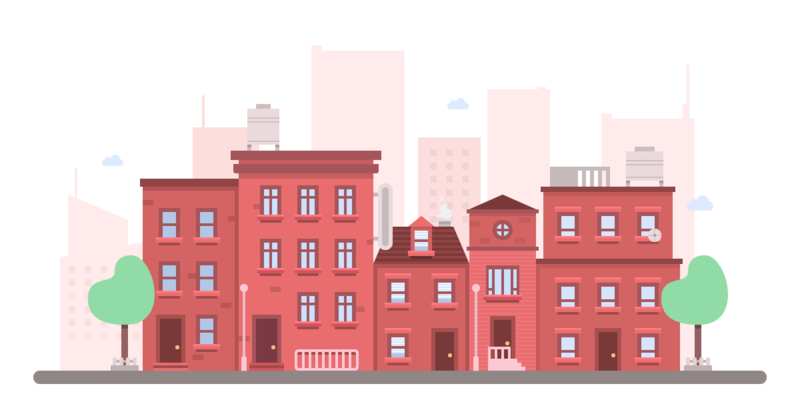 did you look some pictures from cities around the world to get the feeling of how a group o houses looks? Well it took me not along that 4 hours but damn it’s magnificent ! Thanks you very much, I will mention this tutorial to my portfolio (because it’s your work, of course) and I will recommand you to all the notice to Illustrator that I know ! Just a quick. It was a very nice color paletter except for the green from the trees. I would have gone for the fall/autumn look and went with and orange/red tree just so it blends in nicely with your landscape. Same thing for the clouds, blue clouds and green trees is distracting on your beautifully laid out ‘reddish’ landscape design.